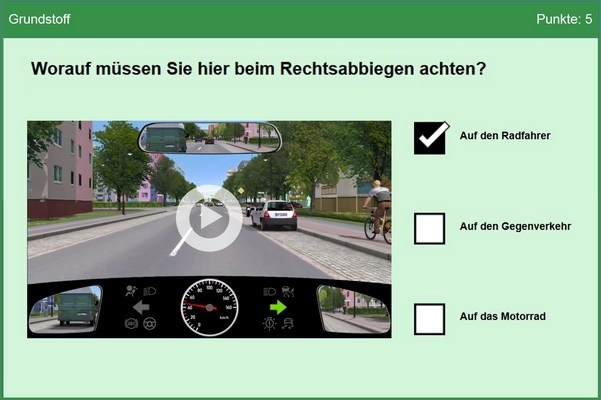 Employees of FIZ-MTS were involved in analysing both the theory test as well as the practical driving test with regard to their methodological foundations and in order to optimise both tests (e.g. introducing of computerised test, development of an electronic test protocol). Beyond that, an innovative means of testing („traffic perception test“) designed to allow for valid assessment of competences in traffic perception and hazard avoidance, is currently being developed and trialed. All of the work mentioned is substantially based on an analysis and description of 44 systems of novice driver preparation in Europe and overseas. This analysis has gained recognition internationally.